This was so awesome...I just had to post it here, even though Cory already posted it on the site. 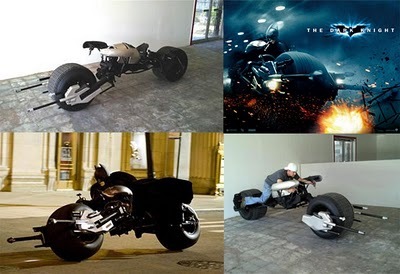 You can find the Batpod replica on Ebay [/img]]here. On a totally unrelated note, the creator of this amazing, working prop replica lives literally in the same exact city I do. No joke. So how much did that officially sell for? I looked but by that time the auction had already ended. I don't know if it sold. It got up to a little over 30 grand, but it didn't meet the buyers reserve price, so I don't think it gets sold (unless if the buyer decides he wants to accept under his reserve). And Bob; Good idea. I'll try to contact him later today after class. Subject: Re: Replica Batpod for Sale!